If you often have small quantities of several varieties of dried beans in your pantry, here is a great way to use them up. 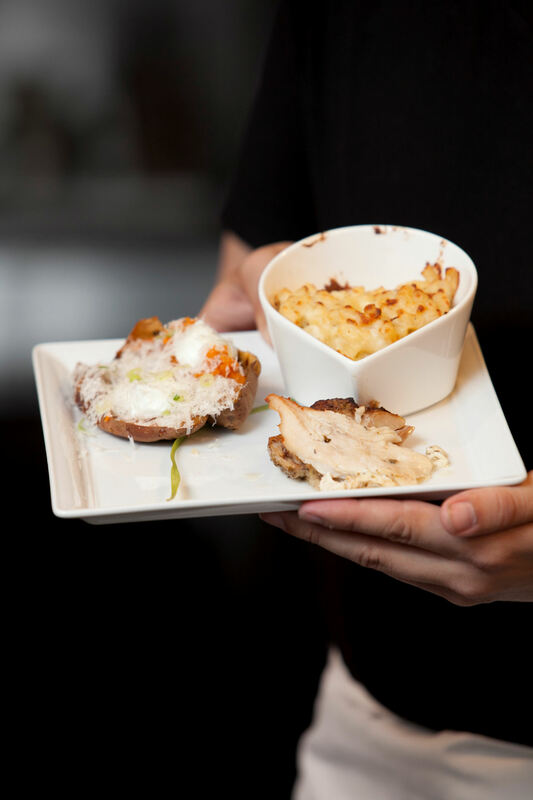 For a festive presentation, add the bread crumb or caramelized apple topping. 1. Soak beans according to your preferred method (see pages 6 and 7). Drain and rinse and set aside. 2. In slow cooker stoneware, combine beans, onions, celery, carrots, parsnips, garlic, chili powder, salt, peppercorns, cloves, cinnamon, apple cider, water and maple syrup. Cover and cook on Low for 10 to 12 hours or on High for 5 to 6 hours, until beans are tender. 3. In a bowl, combine dissolved cornstarch with 2 tbsp (30 mL) hot cooking liquid from beans and stir until smooth. Gradually add up to 1⁄4 cup (60 mL) hot bean liquid, stirring until mixture is smooth. Return mixture to stoneware and stir well until sauce thickens. 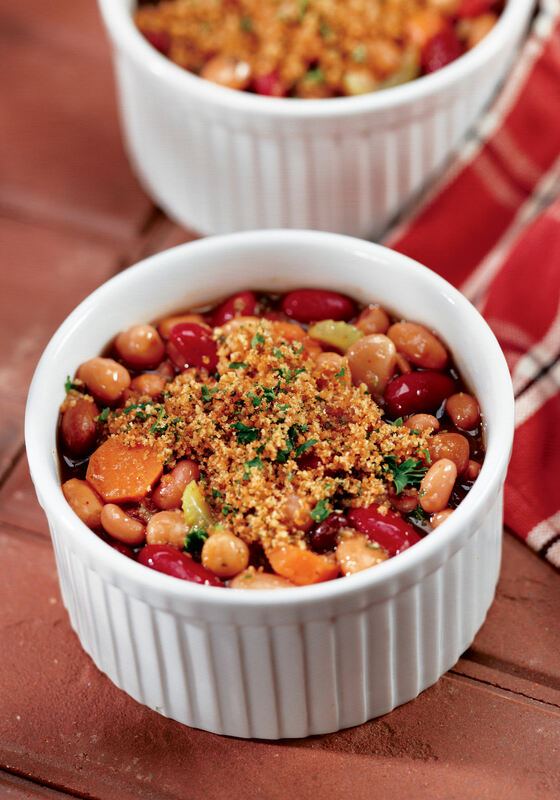 Cider Baked Beans with Bread Crumb Topping: Preheat broiler. After beans are cooked, ladle them into individual heatproof tureens or a baking dish. In a bowl, combine 1 cup (250 mL) dry bread crumbs with 1⁄4 cup (60 mL) each melted butter and finely chopped parsley. Sprinkle over beans and place under broiler until topping is lightly browned and beans are bubbling. To manage your time most effectively when making this dish, soak the dried beans overnight. Peel and chop the onions, celery, carrots, parsnips and garlic the night before you plan to cook. Cover and refrigerate overnight. Measure the dried spices and cover. Combine apple cider, water and maple syrup in a 4-cup (1 L) measure. Cover and refrigerate overnight. The next morning, drain and rinse the beans and proceed with the recipe. Excerpted from 250 Best Beans, Lentils & Tofu Recipes by The Editors of Robert Rose Inc. © 2012 Robert Rose Inc. www.robertrose.ca All rights reserved: May not be reprinted without permission. Here’s a vegan-friendly dish that is Cajun-inspired in its ingredients yet packs just a hint of heat and yields a great sense of freshness. Deliciously different, served over rice, it makes a great one-pot meal. 1. In a skillet, heat oil over medium heat. Add onion and celery and cook, stirring, until softened, about 5 minutes. Add garlic, salt, peppercorns, thyme and bay leaves and cook, stirring, for 1 minute. Stir in tomato paste. Add tomatoes with juice and bring to a boil. Transfer to slow cooker stoneware. 2. Cover and cook on Low for 6 hours or on High for 3 hours. Stir in okra, corn and bell pepper. Cover and cook on High for 20 minutes, until pepper is tender. Discard bay leaves. If you’re using Italian San Marzano tomatoes, which are very rich, omit the tomato paste. Okra, a tropical vegetable, has a great flavor but it becomes unpleasantly sticky when overcooked. Choose young okra pods, 2 to 4 inches (5 to 10 cm) long, that don’t feel sticky to the touch. (If sticky they are too ripe. Gently scrub the pods and cut off the top and tail before slicing. Whether you add cayenne depends upon how spicy your Cajun spice mix is and how much you like heat. This vegan-friendly recipe reheats well, so it makes for a great packed lunch the next day. It is a variation on the noodle dish Pad Thai, but it uses beans as the protein instead of shrimp and chicken, which is the more usual combination. Teriyaki sauce is a favorite of children because of its sweet taste. 1. Prepare rice noodles according to package directions. Drain and set aside. 2. In a large skillet, heat oil over medium heat. Sauté onion, carrots and celery until onions are softened, about 5 minutes. Add garlic and broccoli; cover and cook for 5 minutes. 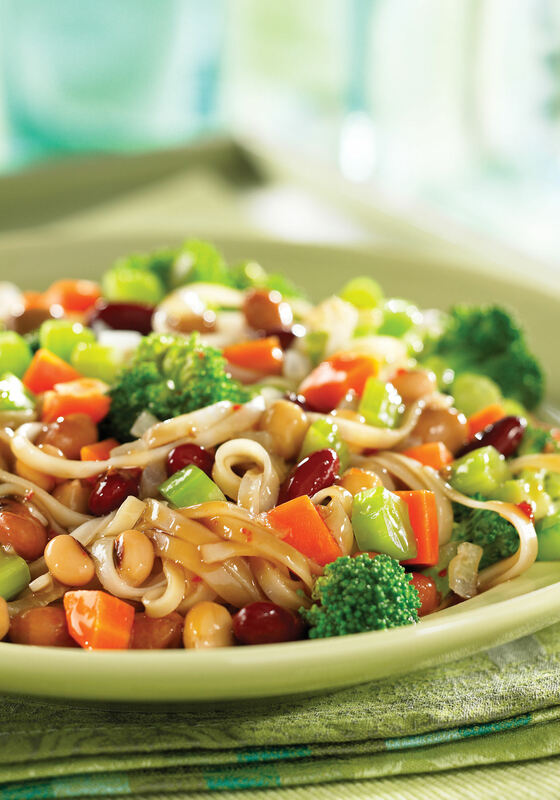 Stir in teriyaki sauce, hot pepper sauce, beans and rice noodles; cover and cook for 5 minutes. For a milder flavor, omit the hot pepper sauce. 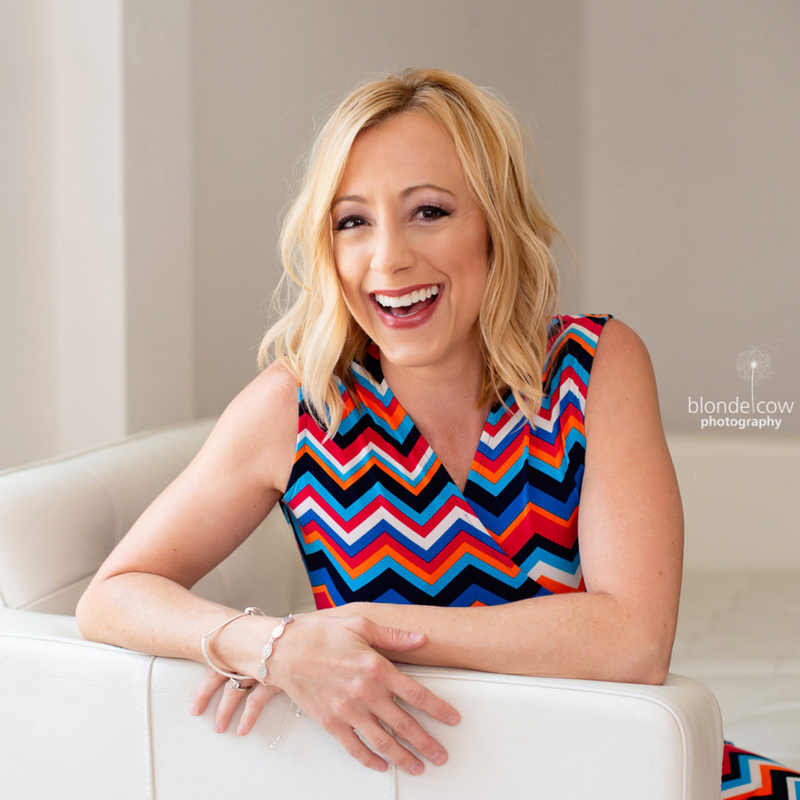 Some women are always seeking the hottest makeup trends and refreshing their looks on a consistent basis, but others have a harder time branching out from what has become routine and familiar. Just like a new hair cut, implementing a new makeup color or technique can help you feel refreshed and beautiful. Make up isn’t the only way to refresh your style – it can be as easy as getting virgin Indian hair extensions, whitening your teeth, or trying out a new style of jeans. For those of us who want to focus on face care and makeup, here are a few hints. To perfect any makeup look, start with a good skin-care regimen for a smooth, healthy canvas. You don’t have to spend an arm and a leg to do have good skin. Invest in products that work for your skin type and aren’t harsh or full of harmful chemicals. Every once-in-a-while, give yourself a facial mask to remove toxins from your skin and refresh your face. Don’t do it too frequently – drying out your skin can sometimes promote break-outs. To dramatically update your makeup routine, learn a new technique for enhancing your eyes. Keep in mind that there is appropriate makeup for daytime and appropriate make-up for nighttime. If you wear too much makeup in the daytime, you can appear overdone or garish; conversely, too little makeup in the evening can make you appear washed out or tired. Pinterest and other internet sites have many step-by-step tutorials to help you learn to do classic eye techniques, like the smoky eye or the cat eye. Take some time to figure out what shape your eyes are and which eye shadow shades will enhance them most. Be sure to give yourself enough time to practice new makeup techniques before special occasions. Blush can also be an excellent way to update your look this fall. As a rule of thumb, bronzers should be used in the spring and summer, where they look natural under the sun, and blushes should be used more in the fall and winter, when rosy cheeks are natural in cold weather. If you’ve never tried a cream blush or a cheek stain, give it a try and see if these composites might work better for you. They may simplify your routine or work better with your skin type. As with all makeup choices, don’t be afraid to consult professionals at local beauty stores for help selecting colors, and have fun with makeup this fall! Perfect Locks is a web site that offers a variety of Indian human hair extensions and more! Learn more about Perfect Locks by stopping by their About Me section on the site and don’t forget to check out their Facebook and Twitter page as well. Plus, browse the huge hairstyle picture galleries and read up on the latest fashion and beauty trends and tips on their blog. 1. Preheat oven to 425 degrees and place rack on the third shelf. 2. Butter 24 mini muffin cups and set aside. 3. In a medium bowl, combine together flour, cornmeal, sugar, baking powder, salt, and baking soda. 4. Make a well in center of flour mixture. In well, combine together egg, Dannon Oikos plain Greek nonfat yogurt, vanilla extract and corn. Mix with flour mixture just until incorporated (do not over-mix). 6. Bake until tops have browned and a toothpick inserted in the center of a muffin comes out clean; approximately 10 to 15 minutes. 7. Let stand 5 minutes in pan; place onto a cooling rack. Serve, or cool completely and store at room temperature in an airtight container, up to 2 days. 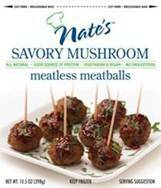 Serving up vegetarian or vegan alternatives at your next gathering or upcoming holiday soiree is simple with Nate’s Meatless Meatballs! These savory organic meatless meatballs are made from soy, and contain 9 grams of protein per serving. Cholesterol-free, the meatballs can be simmered in a favorite sauce, or placed lovingly on a plate of whole-wheat spaghetti or in between slices of focaccia bread for a meatball sandwich! 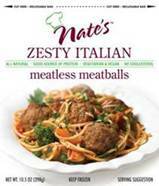 Nate’s Meatless Meatballs offers three distinctly delightful varieties of meatless meatballs including Zesty Italian, Savory Mushroom and Classic. “Mom” fell in love with the Savory Mushroom, which paired well with a spicy arrabbiata pasta sauce! All varieties keep well in the freezer for a quick option for dinner, and can be found nationwide. 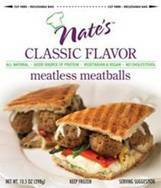 You can locate a store near you that carries Nate’s Meatless Meatballs by visiting Nate’s website. To learn more about Nate’s Meatless Meatballs, please visit natesmeatless.com. 1. Melt the butter and add in the flour while cooking in a pan over low heat. 2. Continue to whisk the mixture until the flour’s color is tan and has a sand-like texture. Reserve. 1. Cook elbow macaroni in boiling salted water per box instructions and then chill under cold water. Set aside. 2. Bring the milk to a boil. Then reduce the heat and whisk the roux into the hot milk. After the roux and the milk are fully combined, mix in the cream cheese and the Dannon Oikos plain Greek nonfat yogurt. Once this mixture starts to thicken, remove it from the heat and whisk in the shredded cheese, garlic salt, white pepper, and nutmeg. 3. Add the chilled macaroni to the sauce. A good source of protein for family meals is lean meat. Many believe that they need to eliminate meat from their diet to stay fit; however the nutrients and protein that lean meat provides fuels families with energy. Lean meat, such as Laura’s Lean Beef, can easily be added to the recipes many are already making. Laura’s is popular as it is a healthy choice because it’s natural, low fat beef, raised humanely on a vegetarian diet without the use of antibiotics or hormones, that is full of flavor. 1. Preheat oven to 375°F. Cook beef, onion and garlic in a large Dutch oven over medium heat until beef is browned; drain. 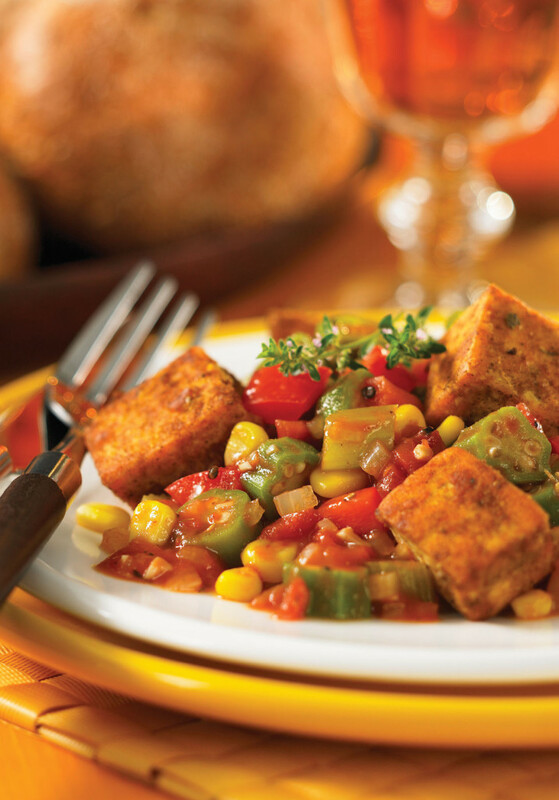 Stir in tomatoes, vegetables, broth, Italian seasoning, 1/2 teaspoon salt and 1/4 teaspoon pepper; bring to a boil. Cover, reduce heat and simmer 10 to 15 minutes, stirring frequently. Spoon beef mixture into a 2 1/2 quart casserole dish coated with cooking spray. 2. Meanwhile, place potatoes in a large saucepan, cover with water, and bring to a boil. Reduce heat and simmer, uncovered, 15 minutes or until very tender. Drain well and return potato to pan; mash well. Add milk, remaining salt and pepper, mixing until smooth. 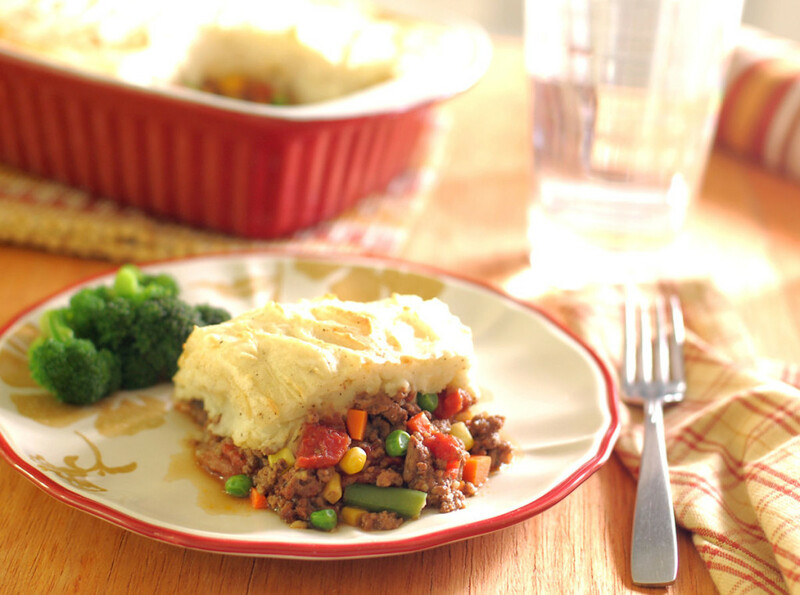 Spread mashed potatoes over meat mixture and bake for 20 minutes or until thoroughly heated. 3. Preheat broiler. Broil casserole 5 minutes or until potatoes are browned. This delicious mock-tail will tantalize the taste buds and is perfect for entertaining this season! Combine all ingredients in large pitcher. Chill at least 2 hours or until ready to serve. 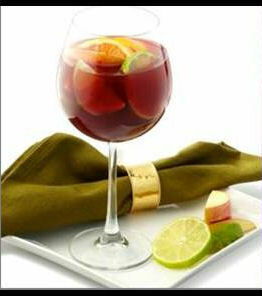 TIP: For an adult version Sangria, use organic dry red wine instead of grape. The demand for products and services that do more to protect the environment continues to grow as more and more consumers become aware of the negative impact that the pollution and waste of mass manufacturing is having on our planet. At this point prices on many items have dropped significantly, but in a recession economy people have to think about the bottom line. And in most cases, eco-friendly products will still cost the average consumer more than the mass produced goods that are made on the cheap (with savings passed along to buyers) simply because the companies that manufacture them don’t bother to go the extra mile to ensure environmentally sound practices. This is a major conundrum for eco-minded individuals that are trying to reduce their carbon footprint. Is it more important to preserve the planet or a personal budget? 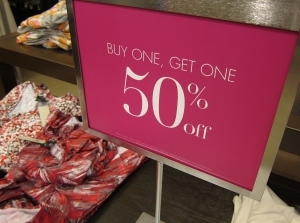 Luckily, you can manage both with just a few simple tips that will help you to find green bargains. 1. Spend a little, save a lot. If you’re new to the green game, then you may balk at the idea of spending more for energy-saving CFL or LED bulbs. You might not want to shell out the money to purchase low-flow toilets, energy-star appliances, or low-E window film to deflect heat in summer. But while these items may cost you a little more than their counterparts, each will deliver savings on your utility bill over time. You’ll have to look at the big picture, but in the long run these purchases stand to pay for themselves and then some. 2. Opt for second-hand. When you think of green products you probably go straight to items made from recycled goods. And while these are certainly a viable option for anyone seeking to support a cyclical production model (rather than a linear one that starts at a manufacturing plant and ends at the landfill) it’s not always the most economical choice for consumers on a strict budget. However, there is a better option that is just as green and it centers on buying second-hand. When you keep perfectly usable items from getting tossed in the trash you are behaving in an extremely eco-friendly manner (remember the three Rs: reduce, reuse, recycle). And you stand to save a lot of money on some really nice stuff in the process. 3. Solar incentives. With the push for alternative energy ramping up and federal guidelines calling for increases in sustainable energy production by power companies in the coming years, many power suppliers are helping homeowners to take the leap by offering programs with massive incentives. For example, several California companies are now installing solar panels for users in their network at no upfront cost. And instead of paying your power bill you’ll simply pay off the cost of the panels over the next 20 years, after which all of the energy needed to run your house will be free, thanks to the power of the sun. These programs are worth looking into for any homeowner that would like to support sustainable energy options. 4. Give green gifts cards. With the holidays coming, gifting is a major concern for many would-be greenies. So instead of overspending this year and hurting the environment in the process, give everyone gift cards for eco-friendly businesses. In many cases you can purchase them online and email them, cutting back on shipping and all of the pollution that comes with it. You’ll be able to stick to your budget and your family and friends can get exactly what they want (from eco-friendly outlets). Another option is to simply donate to green organizations in the names of your gift recipients. 5. Shop online. You already know that you can find great discounts at Amazon, but did you know that they have a similar website that caters to greenies like yourself? They recently acquired a company called Quidsi in order to launch their green product website, Vine.com, under the Amazon banner. You can find all kinds of eco-friendly products on this site, from food and cleaning solvents to housewares and sporting good. While not every item is marked down, you can save 20% on your first order just for trying the site. And that’s just one of many online options that can help you to save on green products.